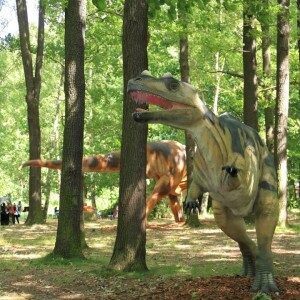 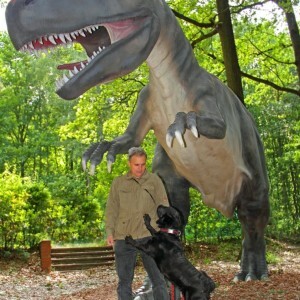 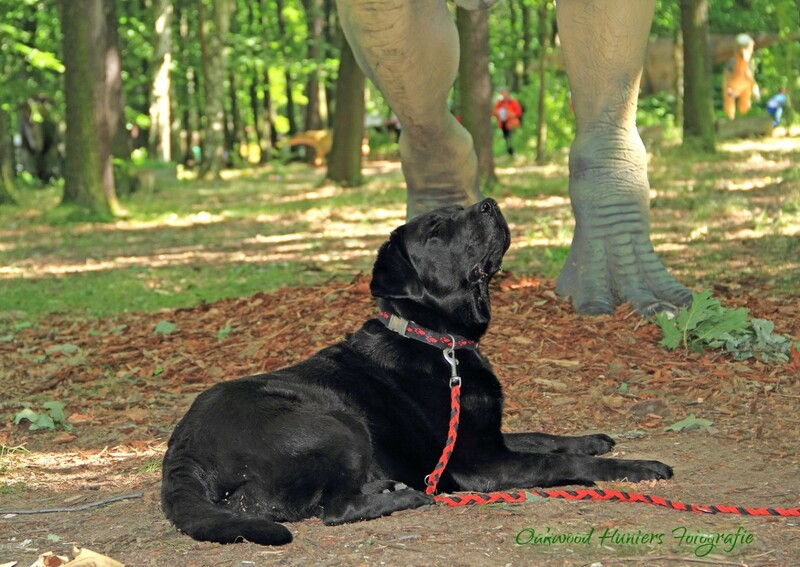 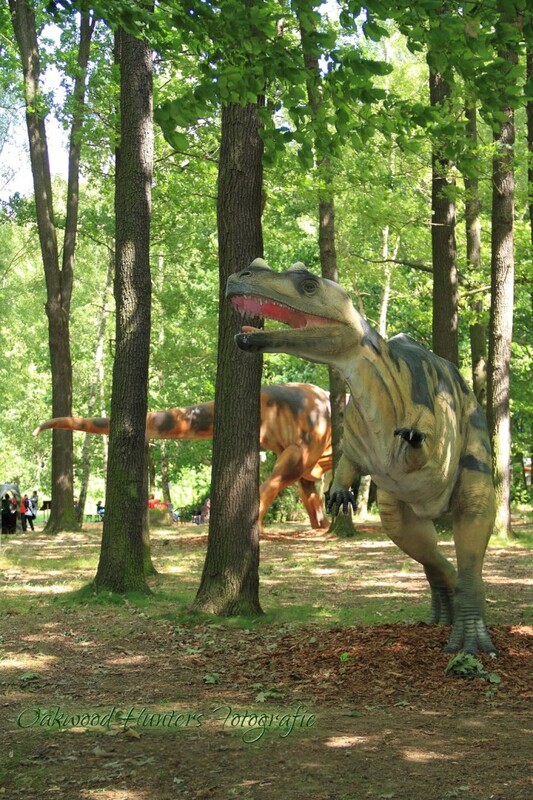 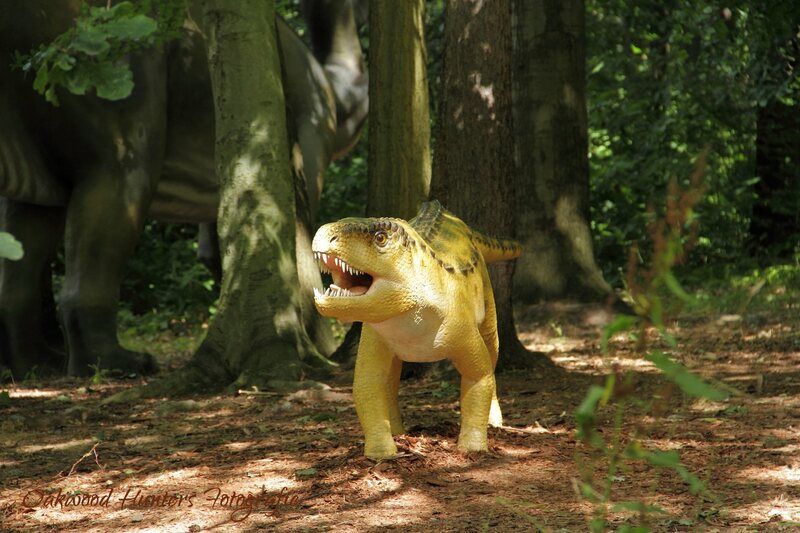 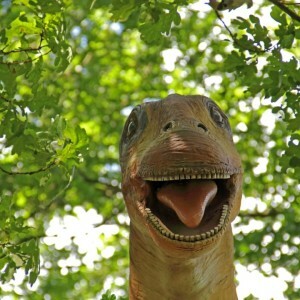 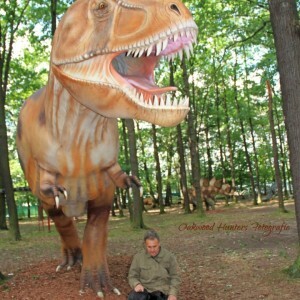 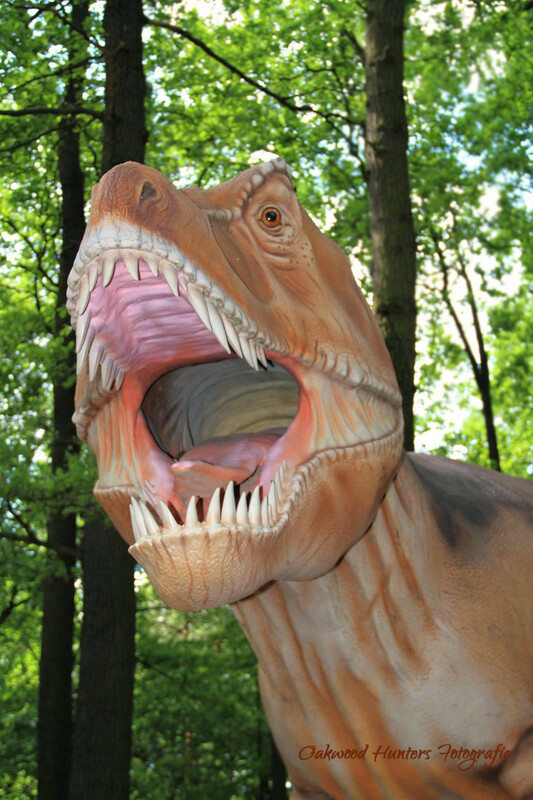 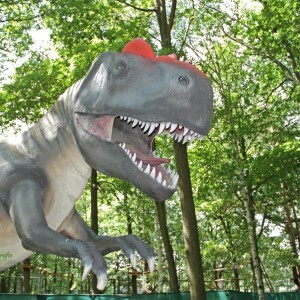 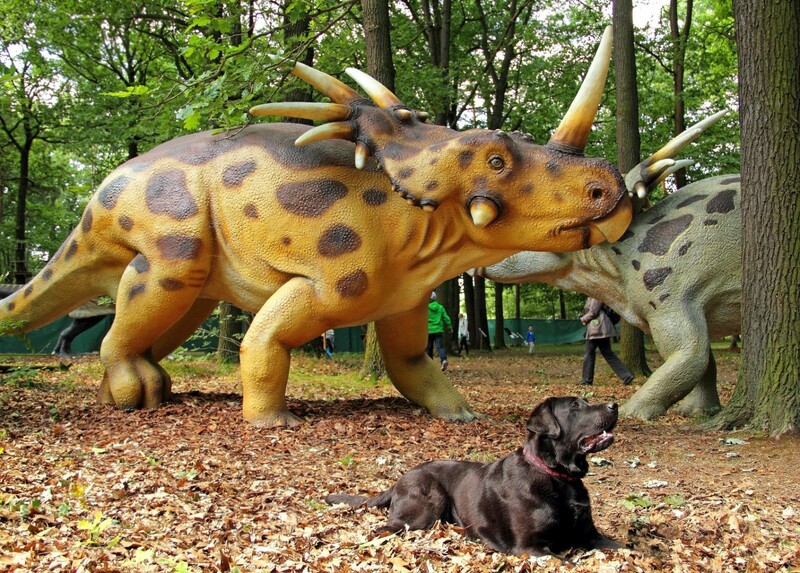 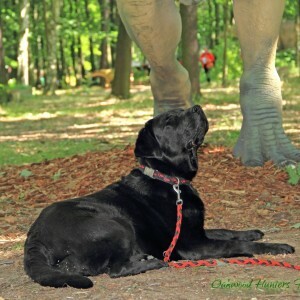 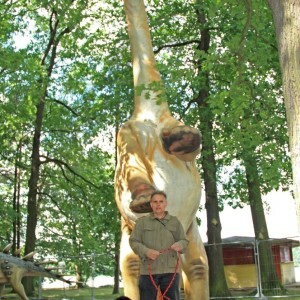 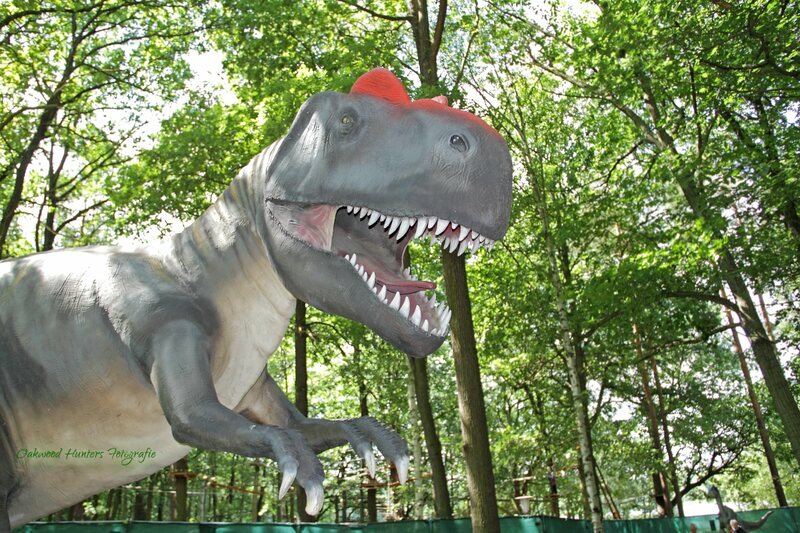 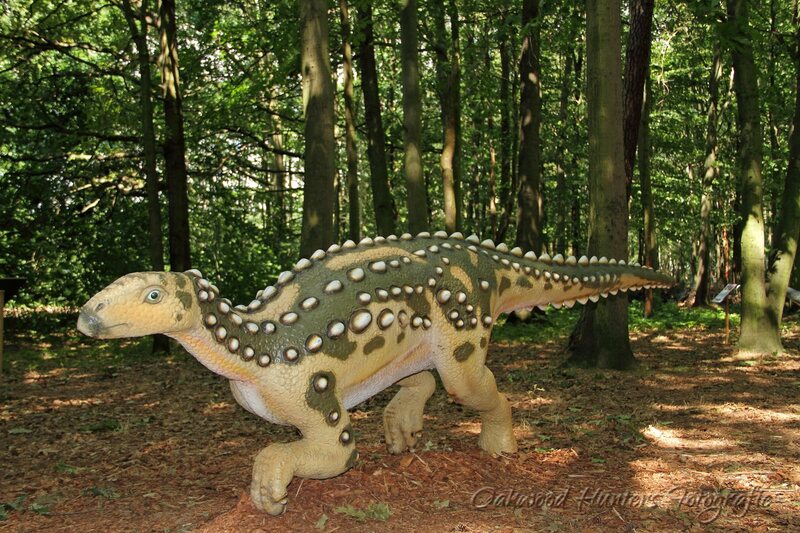 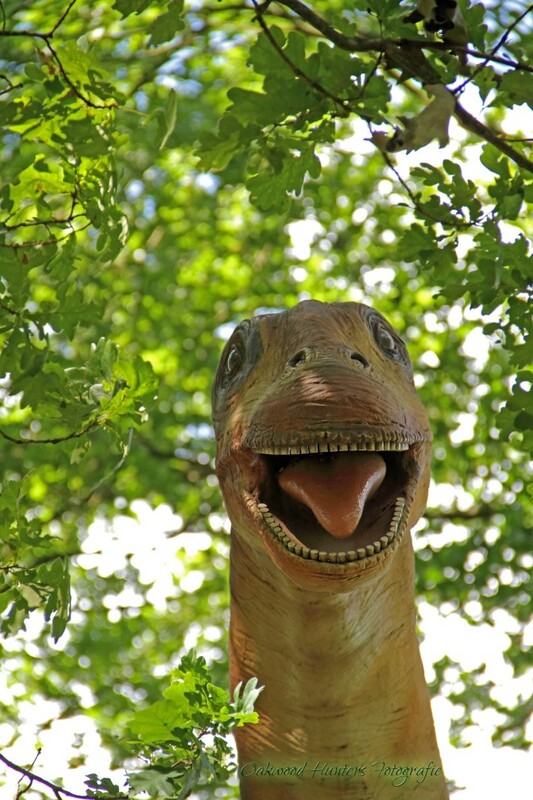 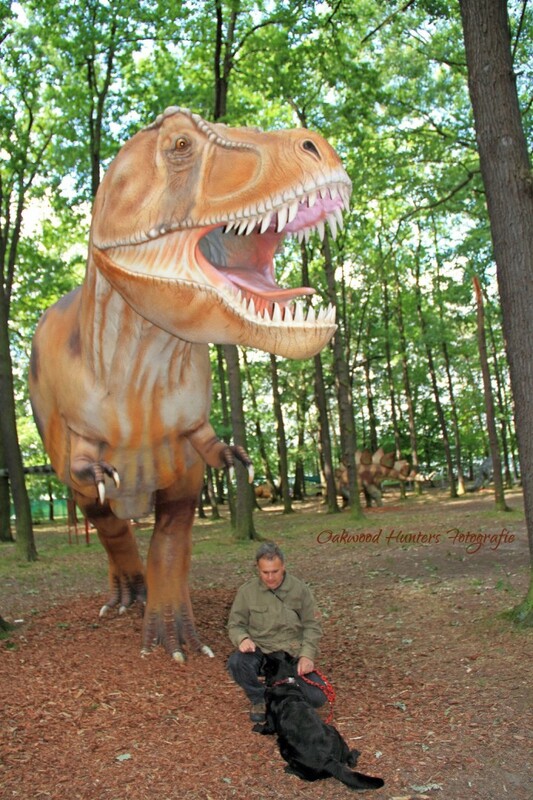 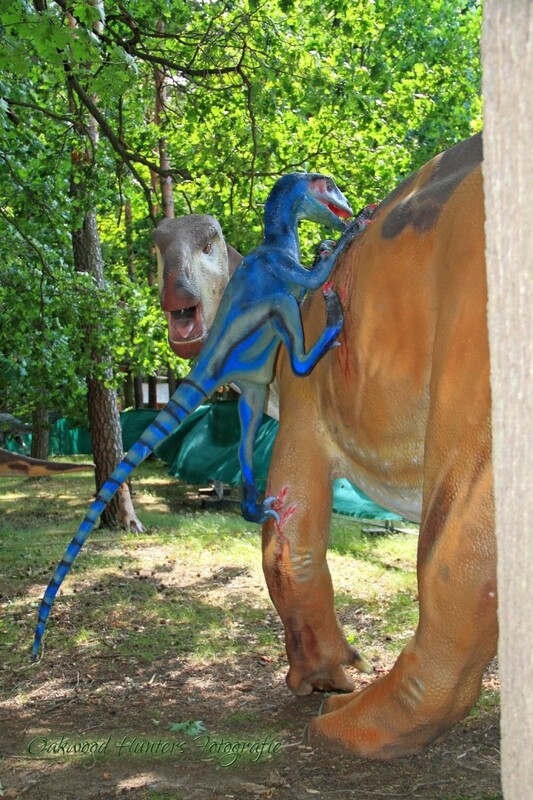 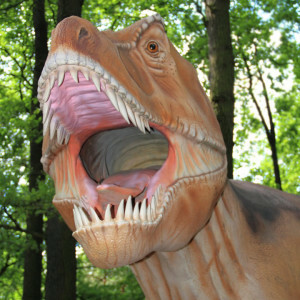 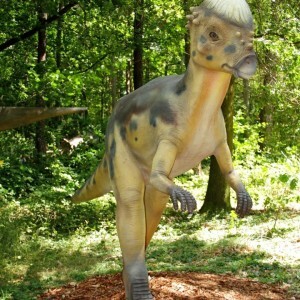 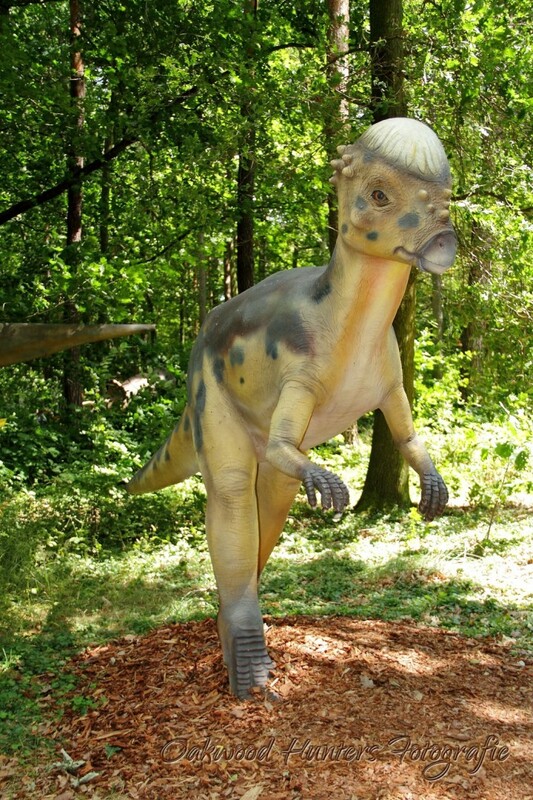 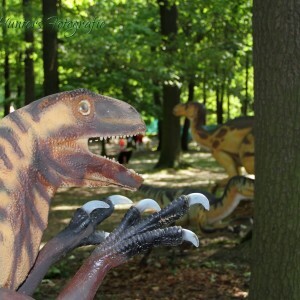 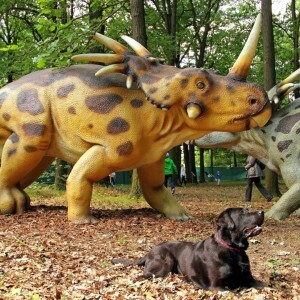 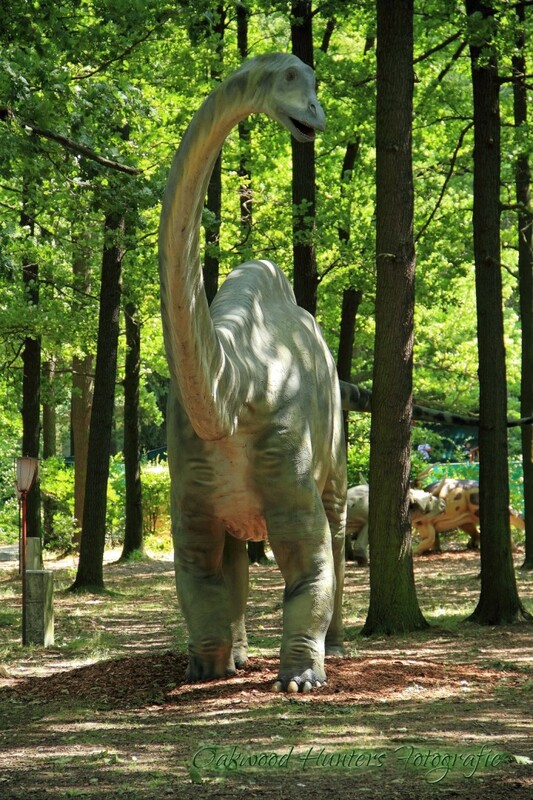 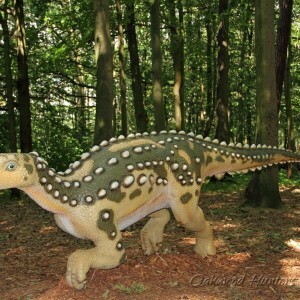 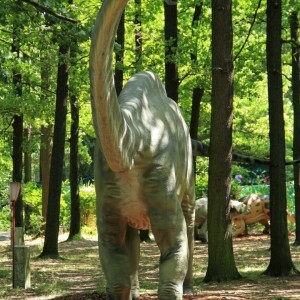 In fairy-tale month August Easy visits the Dinosaur Park of Dinomania. 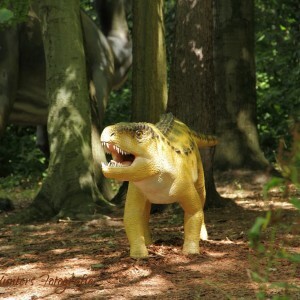 A strange creature – half dino, half duck – is coming out of the bushes! 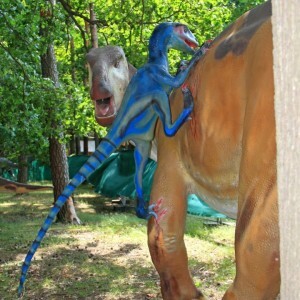 Even creepy scenes do not scare Easy. 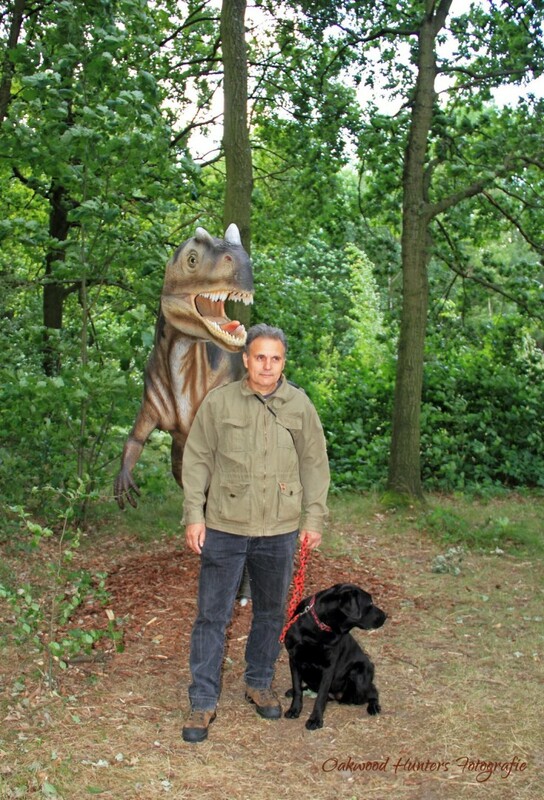 …she is only looking for it quickly and is not very impressed. 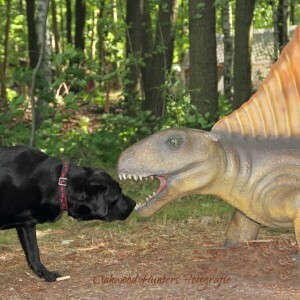 Did she find a new friend here? 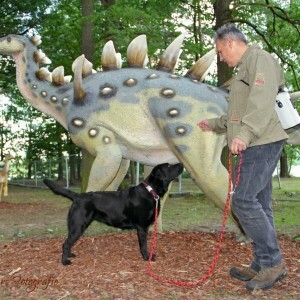 Tap, tap, tap – interesting what is all walking around here. 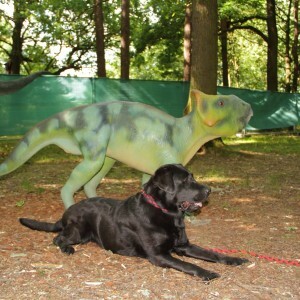 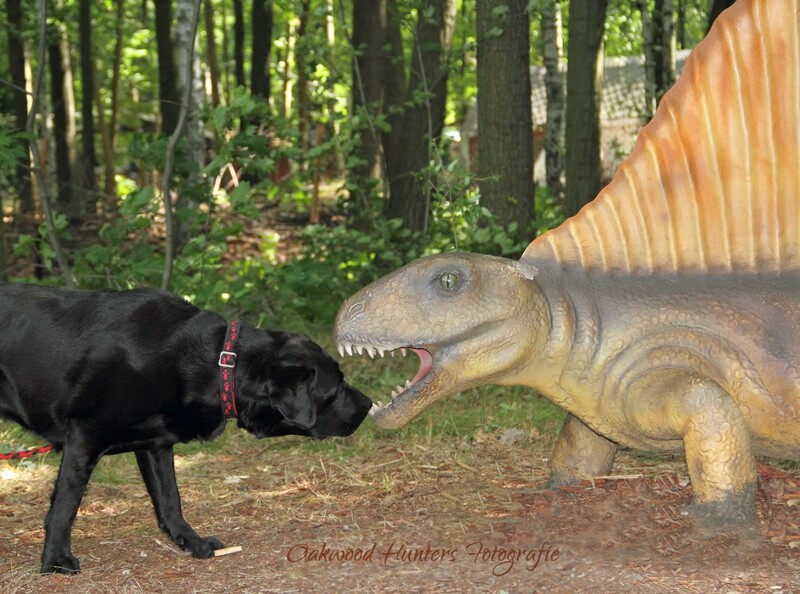 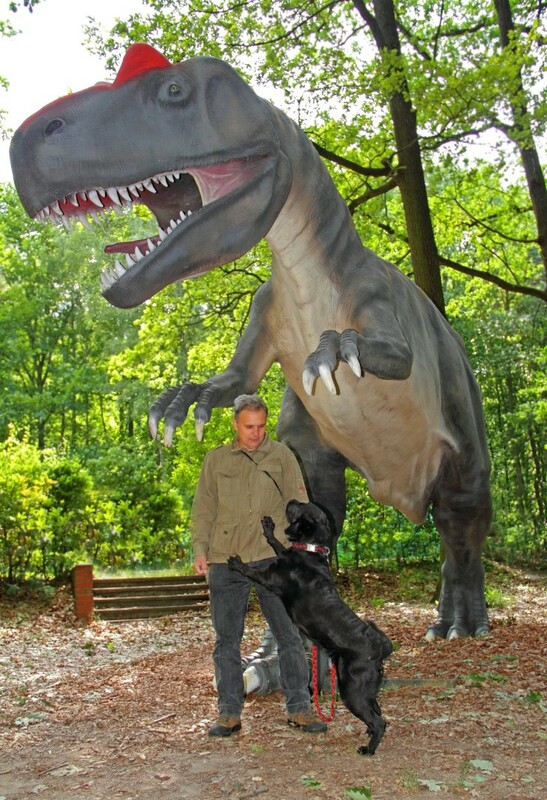 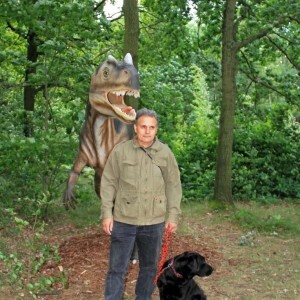 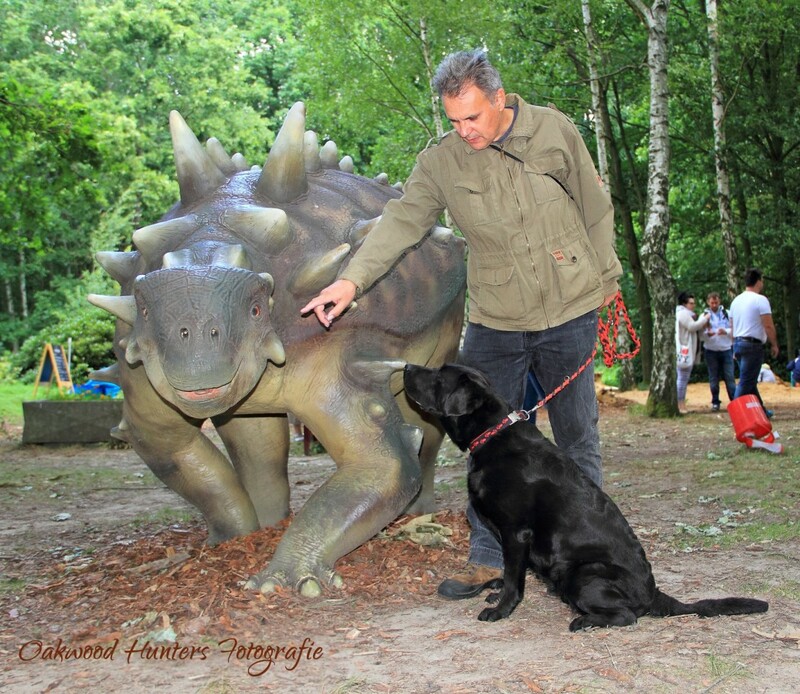 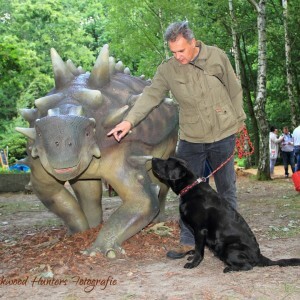 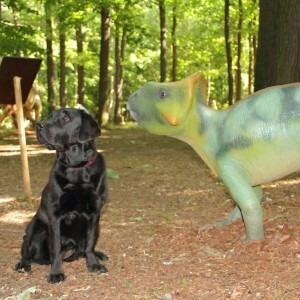 Easy does not get distracted and stands obediently next to the dino with the sharp scales. 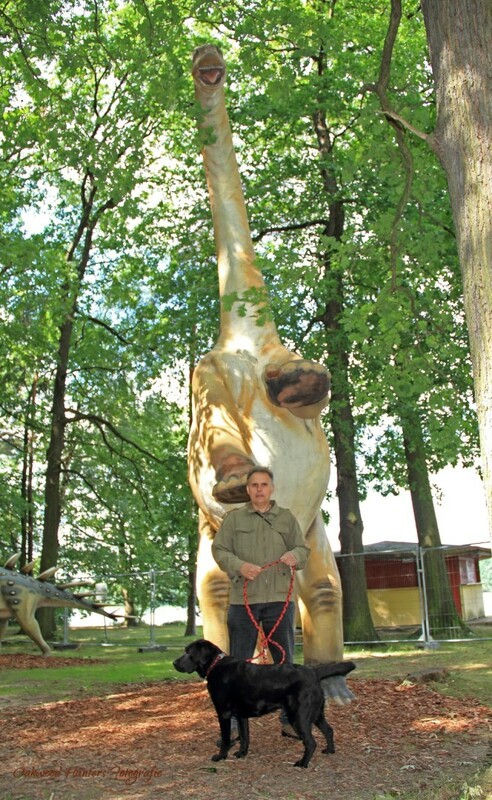 Such giants were herbivores in those days, therefore the long neck. 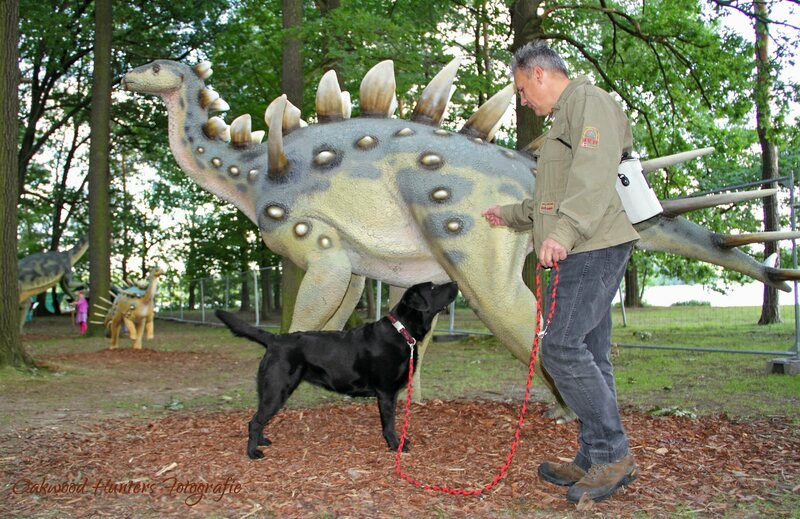 Easy would like to stay for a while with her new friend. 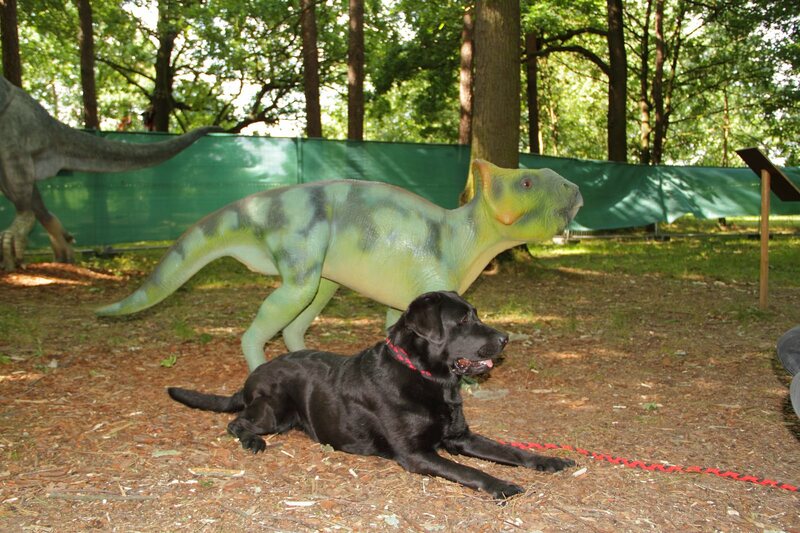 Crocodile or lizard, or what? 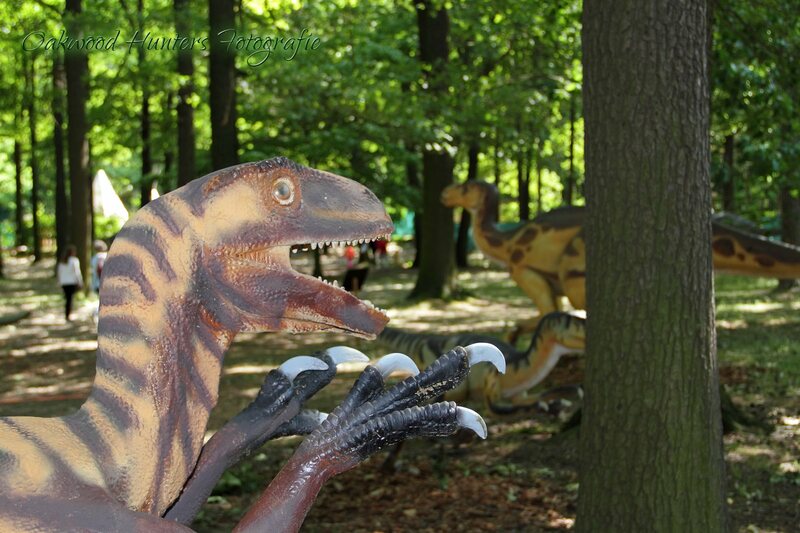 Little Easy – was really great today… I mean she was awesome! 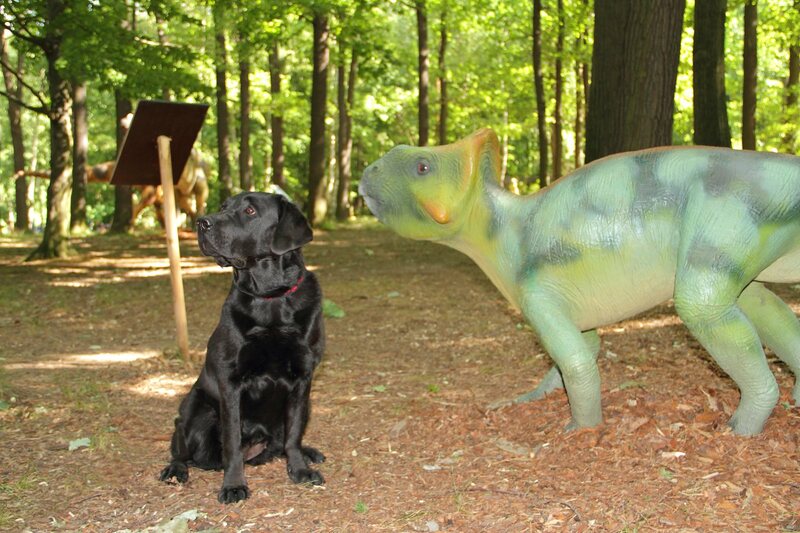 There were many children, but also other dogs and a forest full of dinos and we all had a lot of fun today!